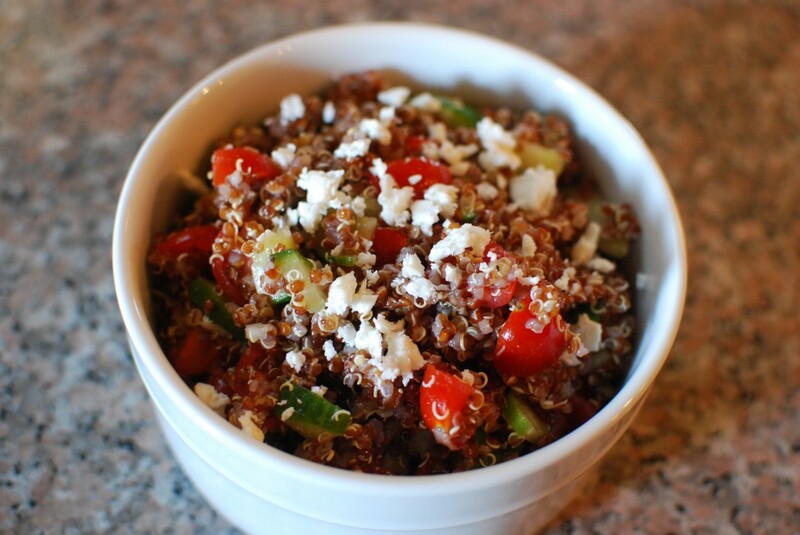 This quinoa salad was a big hit (even the kids liked it!) and a crowd pleaser. Recipe is adapted from the July/August 2013 Splash magazine. Bring water to boil; then add the dry quinoa. Place lid on pot and reduce heat to a simmer and heat for 12 minutes, or until done. Combine shallots through salt and pepper with the cooled quinoa. Top with feta and olives.